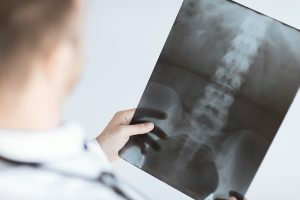 How Do You Prove That Your Back Was Injured In A Car Crash? If you have been involved in a car crash, sometimes you won’t know the extent of your injuries until much later. You might think that you are ok because of the adrenaline that is running through your system at the time. 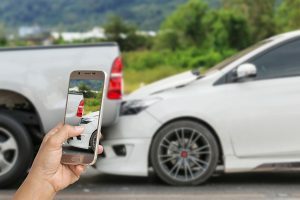 Proving that your injury actually happened during the crash can be difficult, especially if you have no proof. Going back a few days after the accident for treatment leaves an opening in your timeline where the court could argue that the injury occurred somewhere else. Taking steps right away can save you from trying to prove it later on down the road. 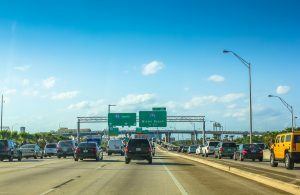 In order to drive in the state of Florida, you must carry Personal Injury Protection insurance. This is to cover yourself in case of an accident and in case you need to recoup some of your medical bills. It is meant to be helpful and allow you to get the coverage you need faster. Let’s take a look at some facts about your coverage. Plastic surgery can be great. It can change something or fix something, making you feel better or function better. There are a lot of reasons why someone might want or need plastic surgery. But what happens when the procedure goes wrong? Let’s take a look at some of the common side effects that could happen after a cosmetic procedure. 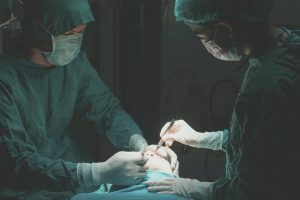 You had everything all planned out as to how the procedure would go, and when it is over and finished, you have a completely different result. What happens then? If the procedure went just as it should with no hitches, chances are that filing a suit will not hold up in court. You could talk with your doctor about if a follow up procedure might get you closer to your desired results, or if anything else can be done. 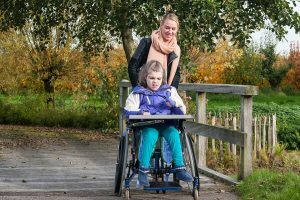 Can My Child Collect Disability Insurance? When a child is disabled, it is absolutely heartbreaking. The medical bills pile up and all of your dreams go out the window. But there may be a light at the end of the tunnel for these families. There are several programs available to help families collect financial assistance to help pay for help, lost wages and medical bills. A disabled child is defined by the Social Security Administration (SSA) in two parts. 1. The child must have a physical or mental condition that limits their activity level to an extreme. 2. The condition must have been present for over a year, be predicted to last a year or more, or resulted in the child’s death. If both of these criteria are met, the child may qualify to receive disability benefits from the SSA. The child must also live in a household that does not have the means to pay for treatment on their own and little or no access to resources to help them out of the situation. 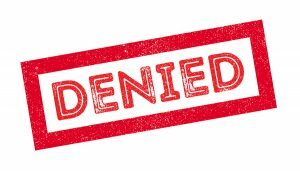 If you have put in a claim to receive disability benefits, but it has been denied, chances are you made one of the top three mistakes in the business. They are easy to make, but very hard to fix. Once your application has been put aside for an error, it is very hard to get forward momentum again. Take the time and fill out the application right the first time. It might just save you weeks, or even months worth of time spent waiting for a payment. It seemed like such a great launch. Fancy ads with a few Super Bowl spots, a long list of things the Samsung Galaxy 7 could do that the iPhone 6 couldn’t, a virtual reality mode, an official IP-code rating that said the phone was dustproof and highly water resistant, a long battery life, a kitchen sink, and a partridge in a pear tree. It was the next generation of technology, and it was more next-generation than usual. 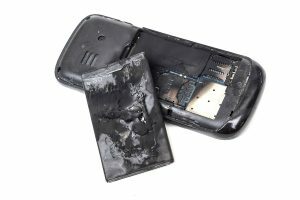 The exploding Samsung phones. The exploding hoverboards. The Volkswagen diesel buyback. 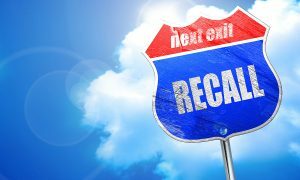 The FCA fine and SUV recall. The Takata air bags. It seems like we’ve seen one major, high-profile recall after another over the past two years, and it can be hard to tell whether this all means that we’re becoming safer as a country or whether we’ve become less safe up until recently. 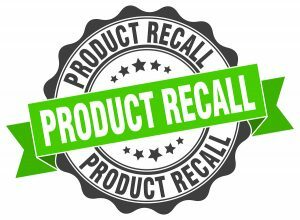 That’s why it can help to get a little perspective and look back through the years to see what recalls made the news in previous decades. Once car crashes became a major feature in movies and up until quite recently, Hollywood maintained a tradition of having cars explode as soon as they hit something. Sometimes it was because people like to see giant fireballs capping off an extended car chase or a great big fall off a cliff, but at times it got to be so excessive that a minor fender-bender would be enough to cause a car to blow up. It seems like a straightforward argument: if a company creates a defective product, and if that product’s defect leads to a physical injury, damaged property, a loss of income, or any of the other reasons why people file civil and personal injury lawsuits, then the company responsible for the defect should be held accountable and pay the damages. 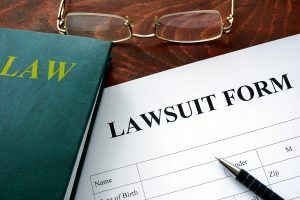 However, there are a lot of important details that a civil lawsuit can’t afford to ignore, details that could cause liability to move away from the company that created the defect. Does the company know about the defect? Is the company trying to correct this defect by issuing replacements or free repairs? And did the company reach out to car owners to make sure they know about the recall? The answers to these questions can dramatically change the course of a lawsuit. Not every lawsuit is created equal, and neither are the lawyers who represent the plaintiffs and defendants who populate the civil law landscape. 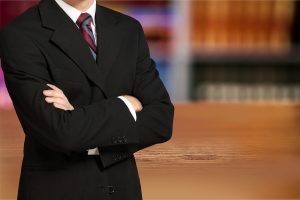 Some are better at representing a client during the discovery period, while another might be better at presenting their side to a jury during the open trial period. There are a lot of variables and a lot of different skills involved, and so it can help to know exactly what to look for and what to consider before choosing a person or law firm to represent you. Beyond any other consideration, your lawyer absolutely has to be licensed to practice law and to represent other people in the lawsuit’s jurisdiction. Every state has a slightly different set of laws and precedents, and so every state also has a different bar association. The different types of federal court also have their own requirements when it comes to legal representation. So something terrible has happened: your car has collided with another car, or a coworker has encountered the wrong end of a piece of heavy equipment, or a construction vehicle has dropped something into the middle of the road. Whatever the circumstances of an accident are, there are a few things you should always remember to do. Your first priority should always be the health and safety of everyone involved. If you’re in good enough shape to move around, then you should check to see how everyone else involved in the accident is doing and call emergency services. If you’re trained in first aid and you’re confident in your training, you should put your knowledge to good use, although you should also remember to never move a person who isn’t responding since he or she might have a neck injury. Workers’ compensation insurance has been a part of almost every employer’s budget for decades. It’s a simple, no-fault way of dealing with workplace injuries, which were handled with bitter court cases about liability and responsibility before that point. Workers’ comp doesn’t point fingers, it just provides a steady (if undersized) income and covers most medical bills related to the accident. 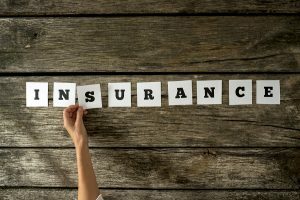 However, each state sets the rules on its own workers’ compensation insurance, which means that while some states are relatively generous and favor the employees, others prefer to limit benefits in order to keep rates low and favor the businesses instead. Florida is much more a part of this second category, in part thanks to a set of reforms passed in 2003. Thanks to the 2003 reforms, along with another set of reforms which passed ten years earlier, workers’ comp lawyers have had to work on scale, accepting fees based on the value of the claims instead of a standard minimum fee. 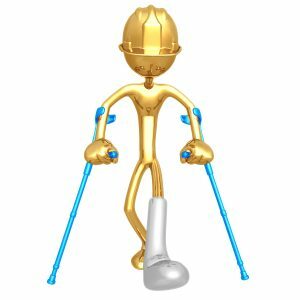 Why Should I File A Personal Injury Lawsuit? Depending on who you listen to, you may have heard a lot of phrases like “frivolous lawsuits” and “tort reform.” What both phrases imply is that we are a litigious society, ready to sue someone at the drop of a hat (for littering on private property). There’s that one case everyone remembers where a little old lady sued McDonalds because she spilled scalding hot coffee on her lap and won hundreds of thousands of dollars from the restaurant giant. However, what these tort reformers often fail to mention is the fact that civil suits are a powerful tool that American citizens can use to level the playing field between themselves and massive corporations. Civil suits allow individuals to seek not only justice but compensation for injuries inflicted on them by others. In fact, civil lawsuits have sometimes brought injustices to light thanks to the discovery process, injustices that weren’t caught by the police, the media, or regulators. 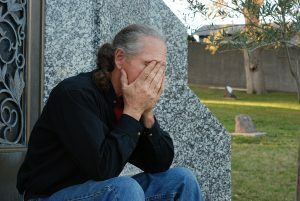 What Qualifies As A Wrongful Death? Nobody ever really wants to file a wrongful death suit. After all, if you’re suing someone for a wrongful death, that means that someone very close to you has died. Not only that, it means that a person may have been responsible for your loved one’s death. And while the money you stand to get from a successful suit may cover things like funeral costs and lost income, no amount of money will ever bring someone you love back from the dead. Still, if you do find yourself in a situation where you think you can file a wrongful death suit, it can help to know exactly what situations count as a wrongful death. Between all the snowbirds who come to Florida every fall to get away from the freezing cold, all the vacationers looking to get a taste of sunshine and a warm, salty breeze to go with it, and all the family members visiting their Floridian relatives for Thanksgiving and the rest of the holidays, our state’s lengthy highways can get very crowded throughout late fall and winter. More cars on the roads means more accidents are likely, so remember to stay safe and stay alert when you’re out on the road. AAA recommends that drivers make a pit stop after every two hours on the road to stretch their legs and clear their heads. You may or may not find this practical depending on your driving schedule and your path, but you should definitely avoid driving more than four hours straight. Fortunately, it’s easy enough to find an excuse to stop at least that often, since you should also be stopping for gas, lunch, and dinner instead of eating on the go. “Slip and fall” is a well-known name for a law whose official name is “premises liability.” This law refers to the obligation which owners and inhabitants have to create a safe environment for guests, whether that property is private or commercial. 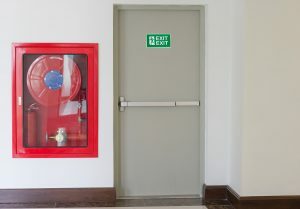 This includes things like setting warning signs around dangerous areas, making sure anything that might fall over onto somebody is secure, and making sure the building is ready for a fire. There are a lot of dangerous conditions out there that can get you into trouble if you don’t have a sign but which are perfectly acceptable when you have one. In other words, if someone slips on a wet floor it’s on you, but if anyone slips past a wet floor sign, it’s on them.